You may have heard the term wrongful death without ever really knowing what exactly it referred to. When a loved one passes unexpectedly, the pain is difficult to understand, and that’s only magnified if you think that death is the result of another’s negligence. That’s where the term ‘wrongful death’ comes into play. Every year, hundreds of thousands of people die in driving related fatalities, preventable medical error cases, and workplace accidents, and many of those tragedies may be actionable under the law. But how do cases like these really work, and can they actually help you get your life back on track after the passing of a loved one? A wrongful death lawsuit is when you bring a case against a defendant who has caused another person to die. That death could have been because of negligence or it could have been because of intentional harm. Either way, when you file the claim, you file it on behalf of the estate of the deceased individual. The affected parties involved in the estate are the ones who benefit should any settlement be recovered. These kinds of claims can be filed when someone who might be involved in a personal injury suit is killed. Usually it has to be filed by a representative of the estate of the victim. A spouse can file in the state of Florida, as can parents of minors. The right of adult children to sue or extended relatives, though, varies from case to case. The more distant the relationship, the tougher it is to file. No matter who files, negligence or an intentionally harmful act must be involved. This, though, is a fairly broad statement. It might happen if the victim is intentionally killed. For example, if someone murders another individual, a wrongful death lawsuit can be filed against that person. In the event the victim dies because of medical malpractice, that, too, can be addressed in a wrongful death lawsuit. Imagine, for a moment, if a doctor failed to notice a traumatic brain injury and the victim later died as a result of his injuries. That would be grounds for a wrongful death lawsuit. Negligence is the other major category involved. If a victim dies as a result of a car accident where the other driver wasn’t paying attention or in a slip and fall case where a structural problem in a brick and mortar shop should have been addressed, a wrongful death lawsuit could be filed. In a wrongful death suit, the burden of proof is always on the plaintiff. The burden of proof, however, is quite a bit lower than it is in a criminal case. The plaintiff must present a preponderance of evidence (instead of beyond all reasonable doubt) to show that the defendant in the case was wrong. The proof involves a number of things. It begins by showing the court that the defendant had a duty of care to the victim. This tends to be a “look before you leap” idea. You have to prove that the other individual had to be cautious in that given situation. For example, business owners have a duty of care to those on their property. They must go to certain lengths to protect their visitors. Likewise, product manufacturers have to protect those who buy their products. Products must be reasonably safe and provide warnings in the event they are not safe. Drivers have a duty of care to other drivers in that they must follow the rules of the road. Once you’ve proven duty of care, you must prove breach of duty, or that the defendant breached that duty. That simply means showing that the duty existed, but the person didn’t live up to that duty. He or she willingly or negligently ignored that duty. A good example of that might be that drivers aren’t supposed to be texting and driving. They have a duty of care not to do so when they’re behind the wheel. In the event a driver decides to text and drive anyway, he or she has breached the duty of care required in that situation. The next step is to show that the breach of duty involved was a direct and proximate cause of the defendant’s death. This is a legal way of saying that the defendant’s negligence actually caused the death of the plaintiff. The goal here is to show that if the defendant hadn’t been negligent, the plaintiff wouldn’t have died. 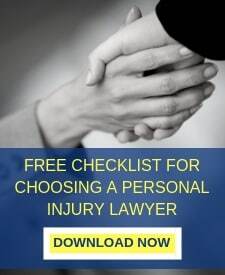 If, however, the consequences that caused the defendant’s injury would not be reasonably foreseeable, this link can be a bit tough to prove. Say the defendant ran a red light. As a result, he ran into another vehicle. That vehicle then collided into a truck, and the truck ran into the coffee shop on the corner where the plaintiff was sitting. The plaintiff then died of his injuries. The defendant could have reasonably expected to run into another vehicle after he ran a red light, but he could not have reasonably expected to kill someone in a coffee shop on the corner. It’s not a reasonably foreseeable consequence. The last piece is the idea that the death caused the monetary damages that are at stake in the lawsuit. Funeral costs are typically included in those monetary damages. Other damages often include the medical costs incurred before death, loss of income, loss of inheritance, as well as loss of care and nurturing. Choosing the right attorney to handle your wrongful death lawsuit is absolutely essential. 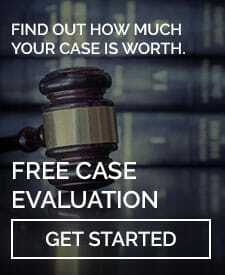 Call us today for a free no obligation consultation about your case.